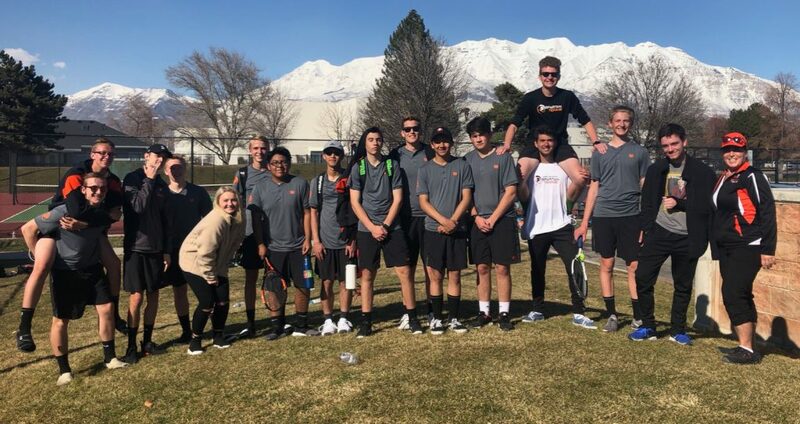 Fresh off a St. George tournament weekend, the boys tennis team battled soreness and Utah County schools at the Bruin Invitational. Murray pushed to a solid second-place finish in team scoring behind Provo, and ahead of Mountain View and Karl Maeser Prep. Scoring a match victory for the varsity team were Aidan Cheney (1st singles), Colton Rogers/Alex Smith (1st doubles), and Cade Harris/Mariner Merrill (2nd doubles). Erik Marchant was MVP for Murray, winning both of his matches at the 2nd singles position. Spartan Tennis is rolling in the preseason. Way to go boys!